Brake repair is a crucial component to the proper operation of your vehicle. Let your brakes go and you’re risking your safety and well as other drivers on the road. Here at Bimmers Only, we treat your car as if it were our own. That means we let you know when it’s time for routine maintenance on your brake system. With safety at the forefront, we’re dedicated to ensuring you get the most out of your BMW, with unmatched longevity when you treat it right. You need a qualified technician on your side who knows BMW brake repair in and around Dallas. We get you taken care of quickly yet efficiently, so you can be back on the road again in no time. We’ve got the experience and know-how to address any and all issues that come up with your BMW. Troubleshooting…repair…brake pad replacement…you name it, we do it. Rely on our many years of quality service highlighted by rates that are up to 50% off dealership prices. Our skilled techs are factory trained by BMW of North America — expertise you won’t find at just any corner mechanic. Where else can you get a commitment to 100% satisfaction with staff members that keep in constant communication with you regarding your repair? If you experience any of these occurrences, make an appointment with Bimmers Only right away. The sooner you address your brake problem, the less costly it can be. You don’t want to do further damage by letting brake issues go longer than they have to. You’re risking your safety and the integrity of your BMW. When you stay on top of regular maintenance,such as brake pad changes or brake inspections, you do your part to contribute to the overall efficiency of your vehicle as well as its reliability. 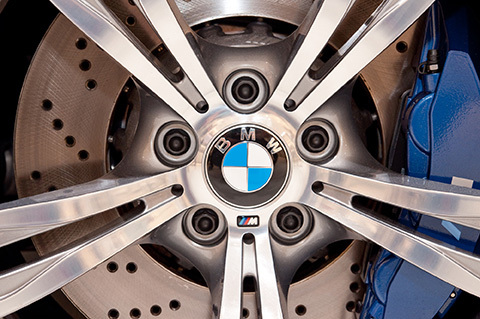 Trust our experienced BMW Certified Technicians who know brake repair inside and out. Give Bimmers Only in Dallas, TX a call at 469-585-7718 to make an appointment today.